Specially formulated high potency herbal formula with natural antioxidants. 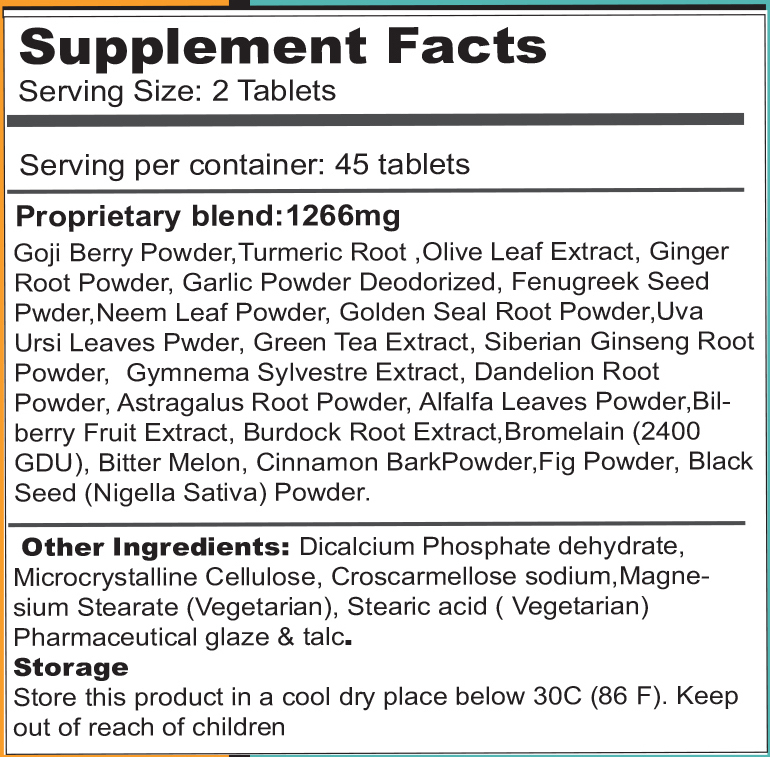 Adults, take 2 tablets daily. Do not exceed 2 tablets per day. Not for use by persons under the age of eighteen (18).